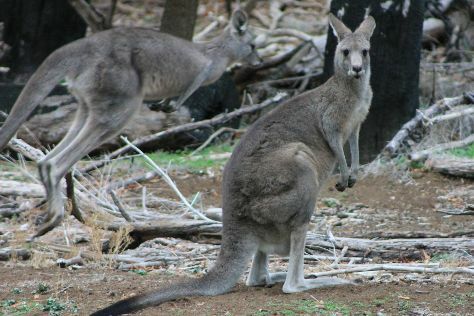 On the 30th (Wed), look for all kinds of wild species at Lorne Beach. On your second day here, take in the dramatic scenery at Erskine Falls, see the interesting displays at Great Ocean Road Story, then enjoy the sea views from Split Point Lighthouse, and finally tour the pleasant surroundings at Bells Beach. To find reviews, ratings, other places to visit, and more tourist information, use the Torquay tour builder . Brussels, Belgium to Torquay is an approximately 28-hour combination of flight and shuttle. You can also do a combination of train, flight, and shuttle; or do a combination of train and flight. The time zone difference moving from Central European Time (CET) to Australian Eastern Standard Time (Victoria) (AEST) is 9 hours. While traveling from Brussels, expect somewhat warmer days and about the same nights in Torquay, ranging from highs of 24°C to lows of 8°C. Cap off your sightseeing on the 31st (Thu) early enough to go by car to Apollo Bay. Apollo Bay is a coastal town in southwestern Victoria, Australia. Explore hidden gems such as Great Ocean Walk and Loch Ard Gorge. Escape the urban bustle at Mait's Rest and The Razorback. Venture out of the city with trips to Port Campbell (Port Campbell National Park, Gibsons Steps, & more). 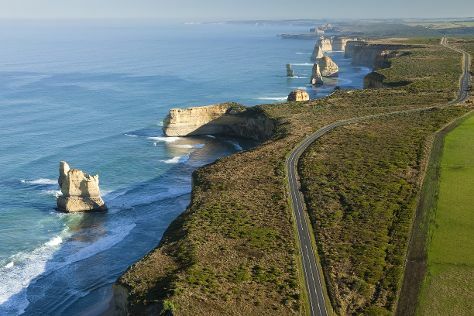 There's more to do: take a memorable drive along Great Ocean Road. 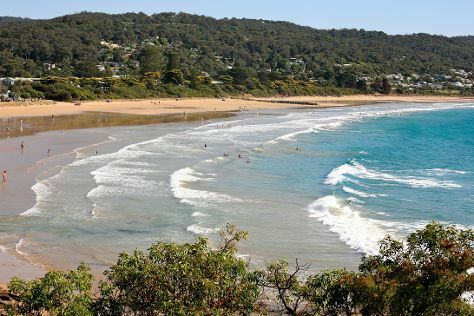 To see maps, traveler tips, photos, and tourist information, go to the Apollo Bay day trip site . Traveling by car from Torquay to Apollo Bay takes 1.5 hours. Alternatively, you can take a bus. Cap off your sightseeing on the 3rd (Sun) early enough to go by car to Warrnambool. Warrnambool is a regional centre and former port city on the south-western coast of Victoria, Australia. Kick off your visit on the 4th (Mon): enjoy the sand and surf at Logan's Beach, then examine the collection at Flagstaff Hill Maritime Village, then identify plant and animal life at Thunder point Coastal Reserve, and finally kick back and relax at Foreshore Promenade. Here are some ideas for day two: explore the different monuments and memorials at Tower Hill Cemetery, get impressive views of Tower Hill Wildlife Reserve, then visit a coastal fixture at Griffiths Island Lighthouse, and finally head off the coast to Griffiths Island. To plan Warrnambool vacation without wasting time, ask Inspirock to design an itinerary. Traveling by car from Apollo Bay to Warrnambool takes 3 hours. Alternatively, you can take a bus; or do a combination of bus and train. Finish your sightseeing early on the 5th (Tue) to allow enough time to travel to Portland. Portland is a city in Victoria, Australia, and is the oldest European settlement in the state. On the 6th (Wed), take in nature's colorful creations at Portland Botanical Gardens, then see the interesting displays at Portland Powerhouse Motor and Car Museum, then admire the majestic nature at Cape Nelson State Park, and finally enjoy the sea views from Cape Nelson lighthouse. To see ratings, maps, traveler tips, and other tourist information, use the Portland travel planner . Traveling by car from Warrnambool to Portland takes 1.5 hours. In November, daily temperatures in Portland can reach 24°C, while at night they dip to 9°C. 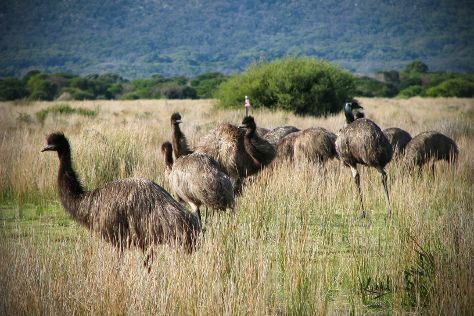 Cap off your sightseeing on the 6th (Wed) early enough to travel to Wilsons Promontory National Park. Fondly known as ‘The Prom’, Wilsons Promontory is one of Victoria’s best loved national parks. We've included these beaches for you: Little Waterloo Bay and Squeaky Beach. Get in touch with nature at Wilsons Promontory National Park and Walkerville Lime Kilns. Step out of Wilsons Promontory National Park with an excursion to Alberton Cemetery in Alberton--about 56 minutes away. To see photos, where to stay, and other tourist information, go to the Wilsons Promontory National Park trip itinerary tool . Drive from Portland to Wilsons Promontory National Park in 7 hours. Alternatively, you can fly. Cap off your sightseeing on the 9th (Sat) early enough to travel to Eden. Eden is a seaside holiday township and home to the whale-watching cruise. You'll discover tucked-away gems like Killer Whale Museum and Ben Boyd National Park. Get a sense of the local culture at Green Cape Lighthouse and Ben Boyd Tower. There's lots more to do: appreciate the extensive heritage of Davidson Whaling Station, take in the waterfront at The Merimbula Boardwalk, get up close to creatures of the deep with a dolphin and whale watching tour, and engage your brain at Sapphire Coast Marine Discovery Centre. To see ratings, other places to visit, where to stay, and other tourist information, refer to the Eden online route planner . Traveling by car from Wilsons Promontory National Park to Eden takes 6.5 hours. Alternatively, you can fly. Expect a daytime high around 24°C in November, and nighttime lows around 14°C. Wrap up your sightseeing on the 12th (Tue) to allow time to travel to Melbourne. Popular historic sites such as Shrine of Remembrance and Old Melbourne Gaol are in your itinerary. 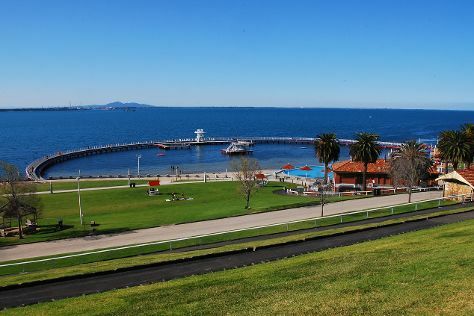 You'll discover tucked-away gems like Eastern Beach Reserve and St. Patrick's Cathedral. There's still lots to do: take in the spiritual surroundings of St Paul's Cathedral, take in nature's colorful creations at Royal Botanic Gardens, admire the masterpieces at Victorian Artists' Society, and see the interesting displays at Melbourne Museum. To see where to stay, ratings, other places to visit, and other tourist information, refer to the Melbourne trip builder tool . You can fly from Eden to Melbourne in 4.5 hours. Other options are to drive; or do a combination of bus and flight. In November, plan for daily highs up to 26°C, and evening lows to 11°C. Finish your sightseeing early on the 15th (Fri) to allow enough time to travel back home.